Capitalization Rate, or Cap Rate, is a calculation tool used to value real estate, mostly commercial and multi-family properties. It is the NOI, Net Operating Income of the property divided by the current market value or purchase price. NOI equals all revenue from the property minus all necessary operating expenses. Serving your real estate investor clients, you'll need to be able to aid them in the valuation of income properties. A common method used, among others, is the capitalization rate, or cap rate. Once your client has an income property under consideration, you can help them to see if the asking price is justified by using the current cap rate for comparable properties and the net income this property generates. If your client knows the asking price of a property and the current cap rate for similar properties, you can calculate the net rental incomes necessary to justify the asking price. For example, if a property sold for $1,000,000 and the total revenue after expenses or NOI was $150,000, the cap rate would be 15% (150,000/1,000,000 = .15 * 100 = 15%). What if other properties in the neighborhood also sold for a similar amount but only yielded 100,000 in NOI? The cap rate for those properties would be 10%. A lower cap rate in this example could be the result of a lower NOI due to higher operating expenses (leading to a lower profit from the investment) or lower revenue being earned on the properties. By analyzing the cap rate and the net operating income earned on properties in the area, you can get a sense of what the potential return will be on the property you're looking to buy. From there, you can determine if the asking price is too high or not. Real estate investing has enough risk without your clients taking on more by purchasing over-valued income producing properties. Part of your value as a real estate agent or broker is to assist them in determining the true value of a property. Using the capitalization rate is one of the various valuation tools, and you'll learn how to use them at the links in this profile of the cap rate tool. What are some of the other calculation tools used in commercial and residential property valuation? NOI, Net Operating Income: As a real estate professional serving investment clients, you need to be very familiar with all the methods of valuation of income properties. One of these is the calculation of Net Operating Income, as it is used with cap rate to determine the value of a property. As stated earlier is the net result of revenue from the property minus operating expenses. However, NOI is before taxes and doesn't include principal and interest payments on any loans. Net Rental Yield: The rental yield is similar to NOI but takes into account taxes. You can calculate the monthly rental income minus monthly expenses and tax payments. From there, you divide that figure by the market value price to get net rental yield. It's important to include repair costs and upkeep as well. Gross Rent Multiplier: The GRM is calculated by dividing the market value of the property by the annual gross income. The GRM figure gives you an approximate return on a property without factoring in expenses. The Gross Rental Multiplier (GRM) is easy to calculate but isn't a very precise tool for ascertaining value. Cash Flow of a Rental Property: Cash flow analysis is helpful in determining how much monthly income (or cash) is left over after repair costs, expenses, and a vacancy rate. Properties might sit idle for a few months and vacancy should be factored into the analysis. Cash flow analysis is helpful in providing the monthly income to earn back your initial cash outlay for the downpayment or any repairs. Gross Potential Income: We want to know what income will be realized if a property is fully occupied and all rents are collected. We take the number of units times annual rent for a total. Gross Operating Income, GOI: Once we know the Gross Potential Income of a real estate investment property, we arrive at the Gross Operating Income by subtracting out the estimated annual losses due to non-payment or vacancies. Depreciation of a Rental Property: We depreciate the building by deducting out the value of the land and dividing the building value by 27.5 years for annual depreciation. For example, a building is valued at $245,000, so we divide $245,000 by 27.5 years, which equals $8,909 in annual depreciation. Depreciation can be used as a tax deduction. 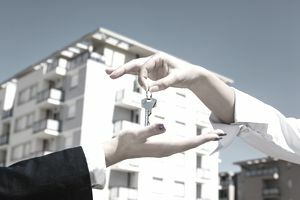 Breakeven Ratio for Rental Property: Lenders use the break-even ratio as one of their analysis methods when considering providing financing for a real estate investment property. The breakeven ratio factors income gross rental income, debt servicing or loan payments, and all operating expenses. Too high of a break-even ratio is a cautionary indicator. The beauty of real estate investment is that there are these reliable calculation tools to evaluate your investment.